Another month has passed and I am linking up with Lynne's Fresh Sewing Day. I had several small finishes this month. I've discovered I love making wonky stars and framed clutch purses. My mom has decided she wants to live in assisted living and not return to our house, where she has lived for nearly 11 years. It is a bittersweet moment for Mr. Romance and I. It's like the last kid is flying the coop! Yes, we will be empty nesters! But my mom has been such a part of our family for so long that it will be an adjustment. Just last night I made BBQ pork ribs for dinner. My mom always made the sauce...I don't even know how to make mom's rib sauce! Yikes! My mom's personality has blossomed since she has been recuperating in the assisted living facility since her hip fracture. She loves the interaction with her peer group everyday, not to mention the Bingo and crafts that she can be involved with. She will be moving tomorrow to a new facility that is a little further away from our house but closer to my sister, so she will still have someone close by for emergencies. This move will give us peace of mind that she is safe and all her needs are met even when we are away for travel. So say a little prayer for my mom, Jean. Doesn't she look fantastic at 86 years old? What a lovely story! Good luck to your Mom in her new home, fantastic to be able to accept such a change.We can all learn from her determination! She does look fantastic. Better get her to share those special recipes. She looks amazing and prayer said. I owe you a long email back to yours Di - sorry...life seems to have gotten in the way today! 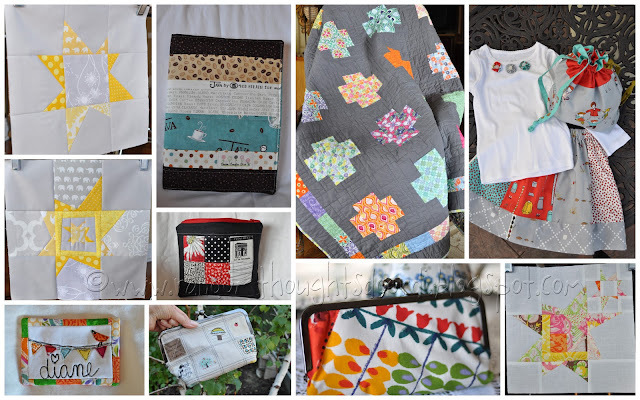 x Oh, lovely makes and your ATS quilt is beautiful! That just made me tear up. I'm sure it was a hard decision for her. Prayers to your mom. Great work completed in October. I still need to make the framed purse. I may be emailing you with questions on it. I am so pleased for you, your mum and your family that your mum has healed so well from her fall and is finding new fun in life. I am sure she treasures her years with you but it does sound like she has found a place that works for where she is in her life now. And she looks wonderful! Your mom looks great! My dad just turned 85 this past week and he lives in a senior living facility. He gets so much interaction with the others there, so good for him. Your mom will have a great time. Great to hear your mum has found "her place". I'm sure you'll miss her in a million ways, but I know you want her to be happy! She does indeed look fantastic! My grandmother recently decided to try to keep living in her own home after a stroke and it is a constant source of worry - even with all the additional care she receives. Kudos to your Mom for going for it and trying something new!! What a lot of beautiful makes! And what a brave and great decision your Mum has made - I'm sure she will be really happy, and the old boys won't be able to run away too fast!! Great post on Mom Di! Wow, that is bittersweet. I love your mom so much and it makes me really happy to know that she has found a lifestyle that gives her so much joy. Bless you for your loving care of your mom. You're all in my prayers. I love all your projects! And I am glad you mom is having fun with new friends and surroundings, and I trust you will be going by to see her loads - don't forget to get the rib sauce recipe while you are there. Yes, she does look fantastic, and how wonderful for the close love you share with one another. Wishing her many more happy, healthy years filled with family and friends! Your Mom is a wonderful lady, beautiful inside and out. The apple doesn't fall far from the tree. She will do fine. Hard for you, but it will get better. As you see her happy and enjoying her life, you will feel better. Your wonky stars are really neat! Good luck to your mom! I can understand how being with her peers will be so enjoyable for her. Great mosaic. I'll say a prayer for your mom. I'm glad she is "blossoming". It must be amazing to find new friends and interests at her new residence!